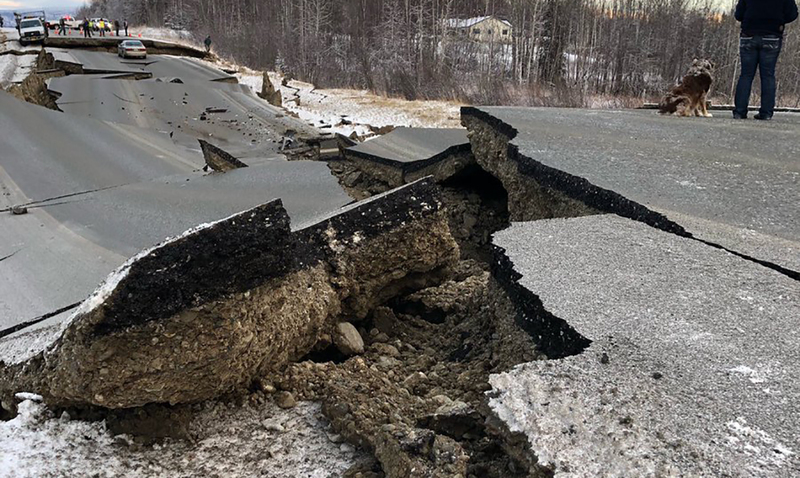 As most everyone is aware, there was a very devastating earthquake in Alaska just this past Friday and even now locals are dealing with the aftershock. Getting back to normal after something like this is going to be anything but easy. This earthquake was a 7.0 magnitude and it damaged, buildings, roads, and well just about everything. While power, water, and communications have been restored in most of the areas that were affected there are some areas still without water. This was the most significant quake to hit the city of Anchorage since 1964 and cleaning up this mess is going to take quite some time. A disaster declaration has been issued and residents have also been told that they should boil their water in case it might be contaminated. Between the gas leaks and potent of falling buildings, many are quite unsure of what might be to come. With high winds coming and snow well on its way as things begin getting colder those in Alaska are having some pretty bad luck right now. That being said, it seems very few fatalities occurred despite the magnitude of this earthquake. Many have taken to social media to share photos and videos of the damage they’ve been facing and it seems the roads really have gotten the worst of things. Bridges have collapsed and cracks have formed throughout highways and other areas. To see some of the damage that has come from all of this please take a peek below. Our thoughts are with those in the area as this massive earthquake truly has changed everything.